Human beings have defined love in a thousand quotes. Their approach to love varies depending on which perspective they use whether it be romantic, parental, platonic, spiritual, or friendship. It is hard to define love in one universal way as everybody is in different stages with regards to the kind of love they are presently feeling. Others may express love through the eyes of gladness, others through the pain of sadness, while others through the lessons learned. The environment also plays a role in how you perceive love. Media, TV or movies may influence you or may leave you biased. Whatever is the case, love can be best seen through the eyes of ascended masters. Thich Nhat Hanh, a famous Vietnamese Buddhist monk, helps us see love in the right perspective by presenting the four elements of love. 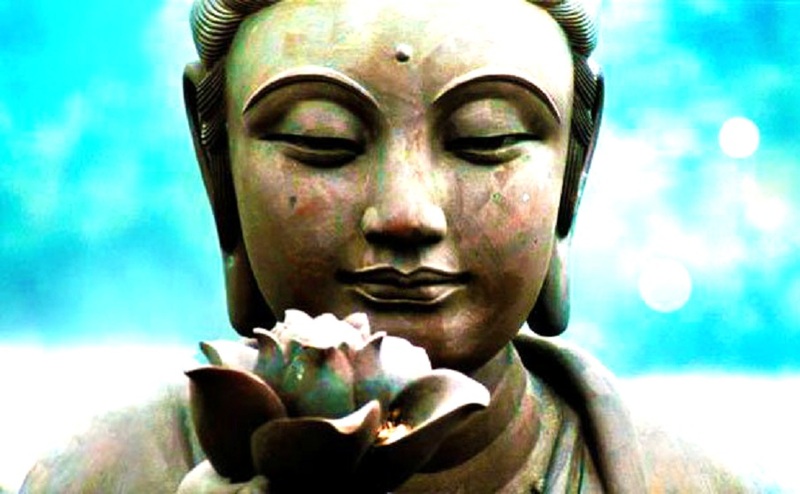 Loving-kindness, compassion, joy, and inclusiveness or equanimity. Love cannot manifest itself alone. It goes with specific qualities that need to be learned and applied on a daily basis. If you have these qualities, you are experiencing true love, according to Buddhist teachings. Loving-kindness is being kind and considerate of others. When you make people cry or make them feel bad about themselves, you are not really loving them. Conflicts are inevitable in a relationship. But when you put your needs above others, placing them below you, you are not actually loving them, instead, you are using them to fill your needs. True love should generate joy and not pain. True love should make others feel important, cared for, and yes, loved. Compassion is feeling the sufferings and pains of others. When you feel the agony of others, it means you love them truly so as to feel their pain as your own. There is no greater love than when you show your compassion to others. When you don’t love, you don’t care. But when you love, you also feel the feelings of the one you love. In order for love to grow, you must practice compassion. When you truly love someone, you make them suffer less. You give sunshine to their gloomy world, hope to their cloudy tomorrow. When you are around every moment you share is joyous and memorable. Upeksha is a Sanskrit term that means equanimity, nonattachment, nondiscrimination, even-mindedness, or letting go. “Upa” means over, and “iksha” means to look. You must climb the mountain to look over the whole situation. This is what the fourth element of love is all about. True love is free of attachments, discrimination, prejudice, or clinging. We can only have true equanimity when we see ourselves as the one who loves and the other as the one who is loved, value others more than ourselves and do not see others as different from ourselves. The Indian Thinker, Acharya Rajneesh, or Osho also urge us to rise in love. By giving importance to these elements and practicing it daily, we may rise into true love one day. The process may be slow, yet what matters is the effort we put on giving love with each brand new day. Others may benefit from it. But we benefit from it the most.